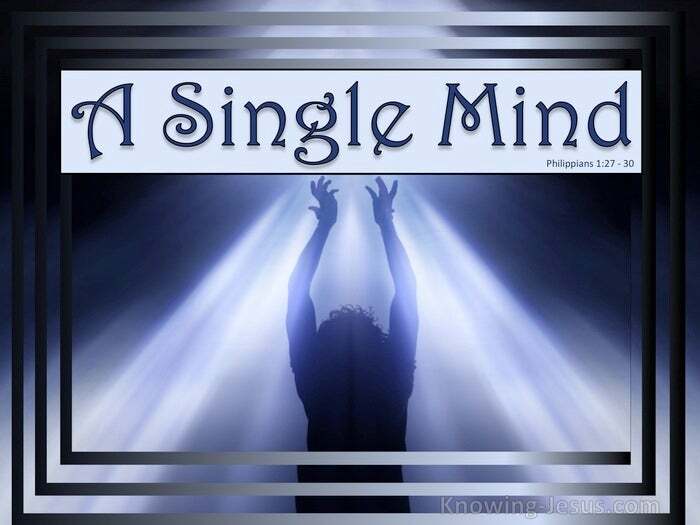 Paul the apostle to the gentiles had singleness of mind – he had a single mindset. In spite of his many problems and great difficulties, Paul’s mind was set on Christ. Search through any of his letters and discover how often he refers to the Lord. In his thought and in his conversation his heart and mind was set on the Lord. The Lord Jesus was the central thought on Paul’s mind. Is your mind set on Christ, or are you a double-minded man – an unstable man? A divided heart and a divided mind – is one that has self placed at the centre. A single mind – is one that places the Lord Jesus in His rightful place. And Paul tells us how to achieve this:- set your thoughts and your mind and your heart on the Lord Jesus.. rejoice in the Lord and keep on rejoicing in Him.. let your gentleness be known to all men.. look to Jesus, knowing that the return of the Lord is at hand.. don’t worry about anything, and just cast all concerns on Him.. pray without ceasing and pray about everything and verbalise your heart to Him. Give thanks in all things knowing that all things work together for good. And Paul says that if you do this… the peace of God, which surpasses all understanding, will guard your hearts and minds through Christ Jesus. Indeed it’s impossible for a divided heart to undertake any of Paul’s instructions, and the instability of an unsound mind is the disastrous result.. and it all starts with the thoughts you think and the choices you make. Think on Christ and have peace.. or be double-minded and be disturbed. FOURTH: Don’t worry about anything, and just cast all concern on Him. Those that wait and hope and trust the Lord in all things are renewed in all ways. 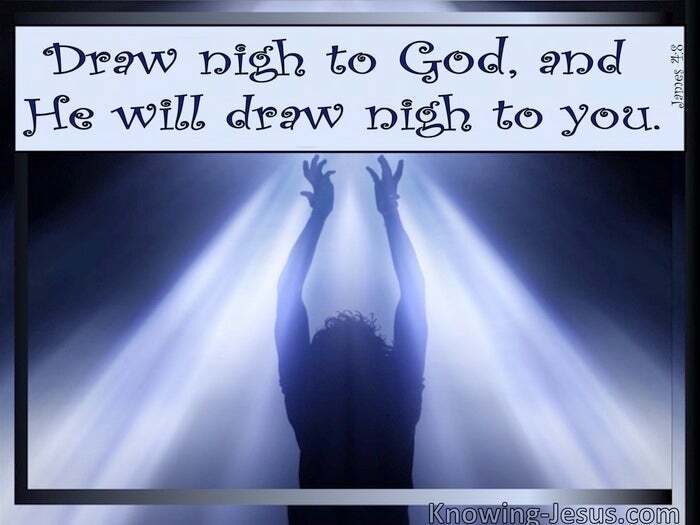 Those that won’t wait and hope and trust the Lord – try to sort out their own problems – and the result is insecurity, fretfulness, depression, panic and sleeplessness. I could go on…. but you get the picture…? The peace of God and the provision of God comes to the one with a single mind – a thought life that trusts in the Lord… no matter what life tries to throw at it.. but distress, disease and disturbance of heart and mind comes to the divided heart.